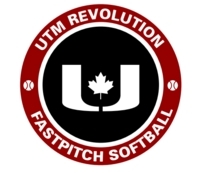 Welcome to the home page for UTM Revolution 2K4. We are a U16 team that will compete at the Tier 1 level within PWSA for the 2019 season. Our team is comprised of first year athletes who have come together from several past successful teams. We are excited to get the 2019 season started, and are working hard to become better coaches and athletes this off-season. Our team is led by Jason Shackell, with Adam Fishback as an assistant coach. Our team is managed by Darlene Allison. This spring/summer our team will compete in events across Ontario, and beyond. Our goal is to perform well at these events, building up to what we hope is a great performance at the PWSA National Qualifer event in July 2019. UTM 2K4 KW is very thankful for our 2018/2019 Community Sponsors.